Monmouth Park Racetrack and Woodbine Entertainment have partnered on an unprecedented $5-million bonus that will be the highlight of the Jersey Shore track’s handicapping contest schedule in 2018. The bonus will be awarded to a player who finishes in the Top 10 of the $400 Monmouth/Woodbine handicapping contest on June 30, then wins the $250 Monmouth/Woodbine handicapping contest on October 13, then goes on to win the 2019 National Horseplayers Championship at the Treasure Island in Las Vegas. The bonus’ first leg will be a $400 handicapping contest on Saturday, June 30 featuring races from Monmouth Park and Woodbine. Monmouth Park’s card that day will be anchored by the Grade 1, $300,000 United Nations, while the historic $1,000,000 Queen’s Plate highlights Woodbine’s biggest day. Should a player finish in the Top 10 on June 30 and proceed to win Monmouth’s October 13 contest featuring races from Woodbine’s Pattison Canadian International Day, that player will head to the 2019 NHC alive for a $5 million bonus. Got Rebates? Get the cash back rewards you deserve. Earn real cash back – get more details here. An innovative event in its own right, Monmouth Park’s $2,000 Pick Your Prize Handicapping Challenge will be back for its third year on Saturday, June 2. Registration is now open for one of the most lucrative contests in the country – with last year’s prizes consisting of 17 NHC seats, five Breeders’ Cup Betting Challenge seats and over $65,000 in cash. Players can earn a spot by qualifying at www.horsetourneys.com or www.drf.com or can register by contacting Skirka at bskirka@monmouthpark.com. In total, Monmouth Park will host 13 handicapping contests in 2018 – including the already-underway Simulcast Series Challenge. 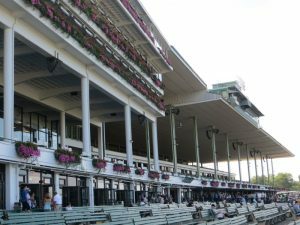 The Oceanport track will award approximately 43 seats to the 2019 NHC over the next eight months. In addition, eight players will win full entry into the 2018 BCBC. For the complete 2018 Monmouth Park handicapping contest schedule, log-on to www.monmouthpark.com. Rich Nilsen is a 15-time qualifier to the National Horseplayers Championship (NHC), an event he has cashed in four times. He was the first player to finish in the top 10 twice. He cashed on the NHC Tour for 2018 with a 19th overall finish. Rich was also a winner of a $24,000 package into Kentucky Derby Betting Championship I. 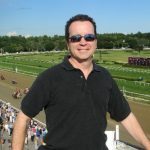 A former executive with Brisnet.com, Rich is a graduate of the University of Louisville Equine Business Program and is founder of AGameofSkill.com, a site devoted to horse racing education and promotion.